One day after we reported that several satellite networks in Iran were jammed amid the anti-government protests that have gripped the middle-eastern nation, late on Saturday reports emerged that telecom providers in Iran have begun blocking internet access across several cities in the country as mass protests erupted for the third day in a row. According to Al Arabiya, among the telecom companies imposing blocks, was Hamrahe Aval, the primary Mobile Telecommunication Company of Iran (MTCI or MCI) as social media continues to play a pivotal role in documenting mass protests and subsequent brutal crackdown on peaceful protesters in the country. Additionally, AFP reporters said that the main TV networks were interrupted at least in Tehran shortly before midnight. The last time Iran cut off internet access across several cities was when the popular Green Movement protests took place against what many considered unfair elections in 2009 when hardliner incumbent president at the time, Mahmoud Ahmadinejad, won re-election. Separately, AFP reports that amid Saturday's Iran protests, Demonstrators attacked a town hall in the Iranian capital Saturday as protests spilled into a third night despite government warnings against any further "illegal gatherings." Clips posted on Twitter showed protesters breaking into and occupying the governor compound in Arak, a town 100km Southwest of Tehran. A similar scene was observed in one of Iran's principal port cities, bandar Abbas, on the southern coast of Iran, which not only occupies a strategic position on the Strait of Hormuz, but is the main base of the Iranian navy. Earlier in the day, there was chaos around the capital's university as hundreds took to the streets, blocking traffic and shouting slogans against the regime. But the authorities could also count on a show of strength, with hundreds of counter-demonstrators seizing control of the university entrance, chanting "Death to the seditionists". AFP notes that the authorities were also fortunate that annual rallies marking the defeat of the last major protest movement in 2009 had already been scheduled for Saturday morning and brought thousands of regime supporters to the streets across the country. The protests began in the second city of Mashhad on Thursday as an attack on high living costs but quickly turned against the Islamic regime as a whole. There were even chants in favour of the monarchy toppled by the Islamic revolution of 1979, while others criticised the regime for supporting the Palestinians and other regional movements rather than focusing on problems at home. "Although people have a right to protest, protesters must know how they are being directed," Massoumeh Ebtekar, vice president in charge of women's affairs, wrote on Twitter. She posted images from Twitter accounts based in the United States and Saudi Arabia, voicing support for the Mashhad protests. As reported earlier, US President Donald Trump tweeted later that Iran's people wanted change and "oppressive regimes cannot endure forever". But officials in Iran warned against dismissing the public anger seen in recent days. "The country is facing serious challenges with unemployment, high prices, corruption, lack of water, social gap, unbalanced distribution of budget," tweeted Hesamoddin Ashena, cultural adviser to President Hassan Rouhani. "People have the right for their voice to be heard." Some of this week's protests were directed against financial scandals linked to unauthorised lending institutions which collapsed with the loss of hundreds of thousands of accounts. Payam Parhiz, editor-in-chief of reformist media network Nazar that broke the news of the Mashhad protests, said they were more focused on the economy than those in 2009, which were sparked by allegations of election-rigging. "Then, they were middle-class and their slogans went beyond economic matters to things like cultural liberties," he told AFP. "Today, the concerns are economic. There are people who have lost their life savings. They will protest until their problems are resolved." Since taking power in 2013, Rouhani has sought to clean up the banking sector and kickstart the economy, but many say progress has been too slow. Aware that economic problems can quickly spiral into political chaos, officials from across the political spectrum have called for greater efforts to tackle poverty and the 12 percent unemployment rate. ... as things increasingly heat up in the Middle East, it appears the anti-Iran and anti-Shia alliance of convenience between the Saudis and Israelis appears to have placed Lebanon in the cross hairs of yet another looming Israeli-Hezbollah war. And the war in Yemen will also continue to escalate - perhaps now with increasingly overt Israeli political support. According to Channel 10's commentary (translation), "In the cable, Israeli ambassadors were also asked to convey an unusual message of support for Saudi Arabia in light of the war in which it is involved in Yemen against the Iranian-backed rebels." All of this this comes, perhaps not coincidentally, at the very moment ISIS is on the verge of complete annihilation (partly at the hands of Hezbollah), and as both Israel and Saudi Arabia have of late increasingly declared "red lines" concerning perceived Iranian influence across the region as well as broad Hezbollah acceptance and popularity within Lebanon. Then just two days ago, we also revealed the US trail in "US And Israel Reach "Secret Plan" To Counter Iran", in which we reported that one month after we reported that Israel would take the unprecedented step of sharing intelligence with Saudi Arabia as the two countries ramped up efforts to curb what they perceive as "Iranian expansion" in the region, on Thursday Israel's Channel 10 reported that Israel has also pivoted to the US and reached a similar plan to counter Iranian activity in the Middle East. 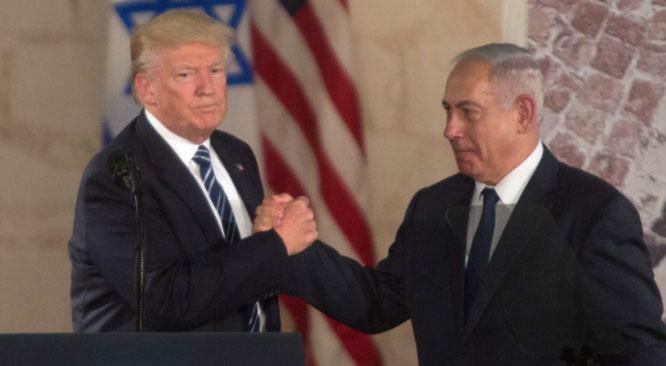 As Axios added, U.S. and Israeli officials said the joint understandings were reached in "a secret meeting" between senior Israeli and U.S. delegations at the White House on December 12th. It is unclear as of this moment if a "CIA and Israel funded, spontaneous anti-government mass protest uprising" was among the understandings reached.